It can be worn as a scarf, cap, headscarf or bandana with complete freedom and comfort. May be used with or without chemo. 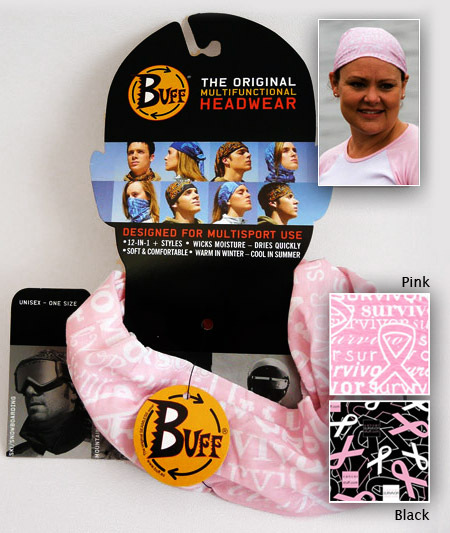 Buff®, the original multifunctional headwear. Only Black available (pink sold out).